Event Farm is a solution that provides invitation, registration and event activation technologies designed to help you promote and engage your targeted audience. "Event Customization and Stellar Services "
Event Farm caters to your event format - period. Upon signing a contract you are assigned a "farmer" who reviews with you all features of the platform necessary to support the attendee management of your event. From creating branded communications to align with your organization's mission or event theme, to a seamless guest check in, this software provides all the tools required to successfully manage a large scale event. What stands out about this company is the client services provided to ensure success. Unlike other similar service providers, the team at Event Farm invests in the success of your event as much as you do. Aashna, our "event farmer" worked seamlessly to walk us through demos, check in on progress regularly, assist with attendee list uploads, and worked diligently to create a platform that truly worked for our event. As an organization, we were first time users of Event Farm and will be continuing use for future events. We received the most positive feedback regarding check in and registration to date. Managing multiple attendee lists can be tricky at times. However, with the support of your event farmer you are always capable of seeking guidance and assistance within a timely manner. Stellar customer service, seeks to integrate with your event needs and requirements, very easy to use/navigate especially for first time users. I work for a national, nonprofit organization that holds a highly visible and highly attended Gala and VIP dinner annually in NYC. As our largest fundraising event, we must ensure the success of all logistics including attendee relations. Event Farm provided the support we needed to more effectively manage this portion of planning. The mobile check in app is a personal favorite, extremely easy to use, and helps to provide quick and efficient guest check in upon entrance. The Event Farm platform has brought our company to an entirely new level as it relates to our ability to create, promote, drive attendance and most importantly, successfully execute high-quality demand-generation client-facing events. There are a variety of technical elements that users need to become very familiar with in order to maximize the benefits from Event Farm. Fortunately I have been able to learn and/or navigate around these elements via my dedicated account rep (Bryce Dahnert). Bryce has an extremely strong understanding of the tools and is ALWAYS available when I need support, even after hours. Don't be afraid to dig into it. While it may be a bit tedious at times, following the learning curve will be rewarding. The ability to promote internal company events and trainings as well as external/end-user facing events has been made HUGELY easier. Event Farm provides a platform that allows us to manage a multitude of events and activities from one portal. When used for mandatory internal events, EF provides the ability to hold members of our team accountable as I can track and confirm their attendance via the RSVP capabilities built into the platform. When used for client-facing events, EF provides us with excellent reporting that is often required of my technology partners that may be sponsoring one of these events. "Use Event Farm for event guest check in and tracking "
As a company we liked the simplicity, user friendly aspect, and back end management. The Event Farm team did a good job with customer service and helping to build enhancements that our company needed in a event invitation software platform. We also really like the guest check in app, it expedited the check in process for us. The click through rate was low and concerned our leadership that our guests were not receiving event invites. We also would have liked to see better post-use stats to see where the improvements needed to be made. We also felt like there needed to be better design functionality. The pricing for the software is more than other event invitation softwares and over our budget. Use the customer support to understand all of the features and functions available that customize to your company's needs. We are working to solve the right target audience for events, finding the sweet spots so we are not over-subscribed or under-subscribed at our events. The real time check in helps and list pulls at anytime helps use determine if we need to send another wave of invites out to constituents. 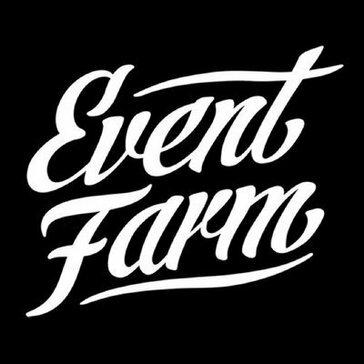 We have been thrilled with our EventFarm Experience. It was just the software solution we needed to manage our corporate event program. We needed easy-to-use software with complex functionality for flawless event execution - and that's just what we got. The EF customer service and account management is also 5 star. We are big fans! We would not like to fill out this section. The check-in format, showing who has checked-in, how many people have checked-in, etc. Well, I wonder if attend can handle various sizes of name badges, or even adhesive ones. Efficient registration, reporting of attendance results. * We monitor all Event Farm reviews to prevent fraudulent reviews and keep review quality high. We do not post reviews by company employees or direct competitors. Validated reviews require the user to submit a screenshot of the product containing their user ID, in order to verify a user is an actual user of the product. Hi there! Are you looking to implement a solution like Event Farm?